If once you have mowed your lawn it still doesn’t look as tidy as it could do, it may be because you are forgetting about the edges. By making the edges straight and neat, the whole lawn can instantly look tidier and healthier. 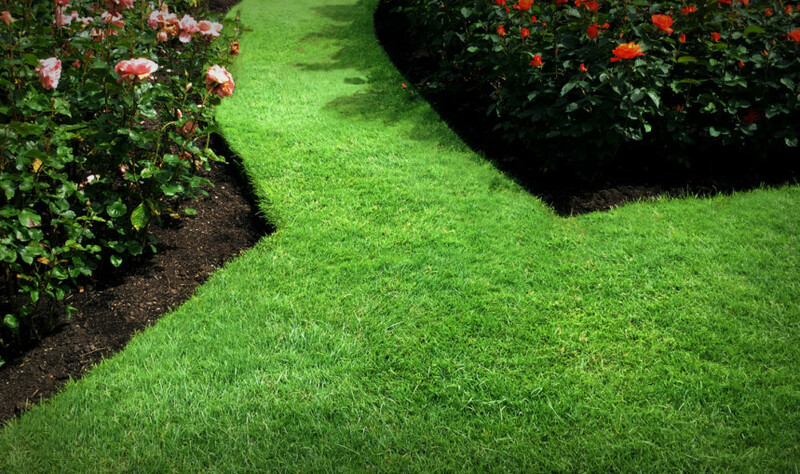 Follow our steps below on how to tidy your lawn edges and keep them in tip top condition! You can just follow the existing edge of your lawn but it can help to mark your lawn edges with a plank of wood, or a rope for curved edges. This will give you a line to follow and cut against for a neat finish. Using a half-moon edging tool, re-cut the edges of your lawn. Spring is a good time to do this, so that your edges are tidy and well defined for the year ahead. If your lawn meets a path, use a sharp blade such as a Stanley knife to trim and remove any grass that is covering the path. After each mow, trim the edges of you lawn using shears. This should be quite easy to follow, now that your edge has been dug and defined. If the edges of your lawn are in areas that are difficult to maintain, or if you don’t want to be worrying about keeping the edges of your lawn trimmed all the time, then using lawn edging may be a good idea. Use bendable plastic or metal edging to stop your lawn from growing anywhere it shouldn’t. You should now have a nice lawn with clear and tidy borders. It’s not a huge job, and will result in your lawn looking healthy and well looked after!